We have over 40 years’ experience and know the uses, strengths and limitations of the products on the market. Where a facility is to be used for many years by a community, club or institution selecting the right product that will maintain its functionality for as long as possible is a key decision. Look through our products in this section and contact us at any of our offices, if you need any further information. You can download catalogues, drawings and specification for all your sports products on the following pages. 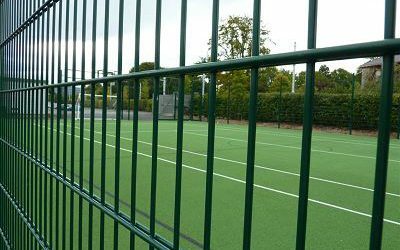 Gates are available to match all our Sports mesh systems. 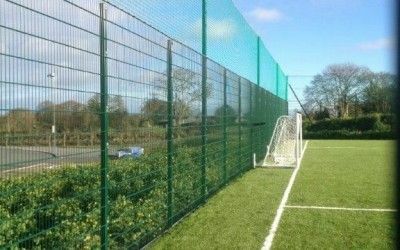 Kinsale Twin Wire 868 Sports mesh is a very robust product allowing excellent visibility it also comes in a lighter 656 construction. 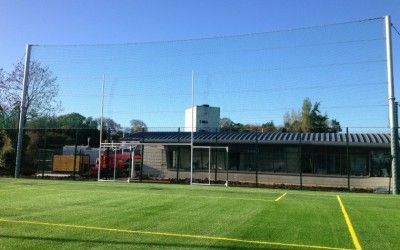 Kinsale Combo is a combination of our Kinsale Sports mesh and Irfen Netting which can create a highly cost effective perimeter. 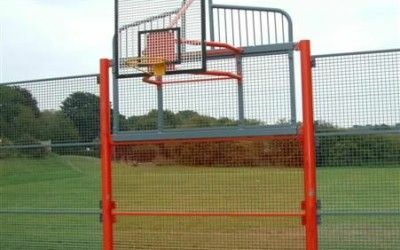 Our Strongest Sportsmesh Product, this is designed specifically for use in areas where vandalism can be a problem. 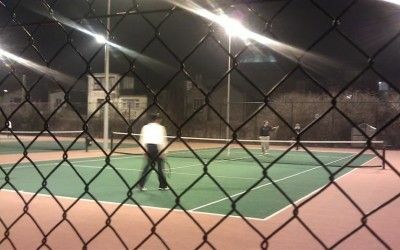 Netting Systems are designed mainly to contain sport balls of various sizes within a defined area. Can be stand alone or combined. 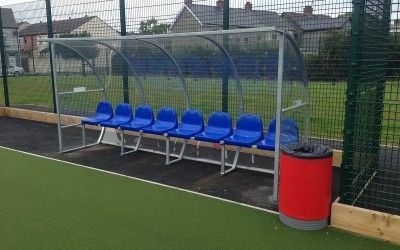 Our Dugouts, Spectator Stands, Specterails and designed goals will enhance and complete your club development. Chainlink Fence 50 x 50 diamond woven mesh. Used extensively in Tennis courts where it prevents the ball returning dangerously.